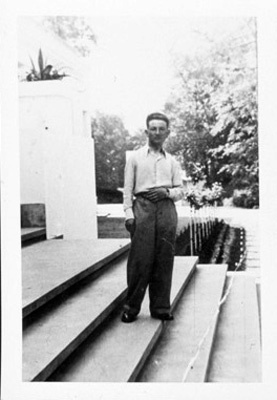 Pincus's uncle (father's brother), Saul Kolender, in Krakow, Poland; ca. 1930s. During the Holocaust, he was hidden with a Polish family, but when his money ran out towards the end of the war, they betrayed him, and he was executed.